“By sharing a bit more of the immense available resources in the world,” countries can, “very comfortably and very surely and very usefully,” meet the needs of all displaced persons. Such is the point of view of the Canadian Jesuit Michael Czerny, recently appointed Under-Secretary of the new Vatican Department for Integral Human Development, reported Vatican Radio in English. Depending directly on Pope Francis, he took up his new post on January 1, 2017. Father Czerny is charge of the section that concerns refugees, migrants and survivors of human trafficking. The priest explained that, through this new Department, Pope Francis is not seeking “to construct an immense program to mobilize unheard of resources,” but rather “to aid the hearts and spirits, the hands and feet of people everywhere,” in order to share what they can with those who are in need. Father Czerny also said that the concept of “integral human development,” in the context of the distress of those who are forced to leave their home is a “field of real concern” and an “absolute priority” for the Pope whose own family emigrated from Italy and was welcomed in Argentina. The Department for Migrants and Refugees is concerned with displaced persons whose “human rights and dignity as well as their fundamental reasons for hope are extremely threatened,” explained Father Czerny. 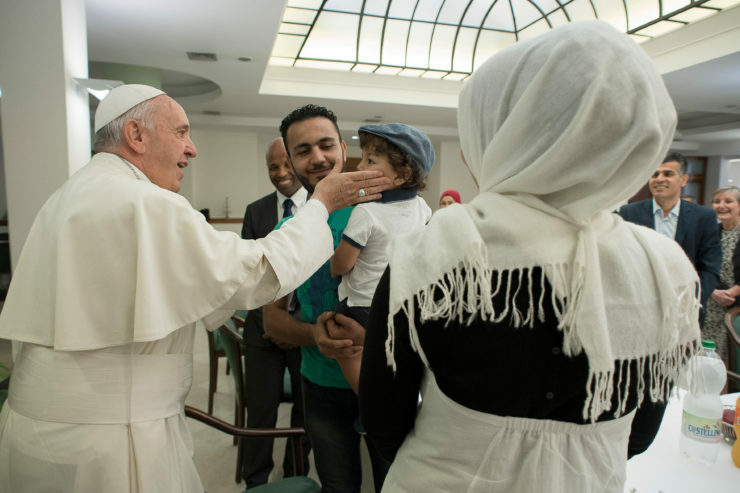 “Our modest but ambitious mission is that forced migrants “feel and experience the Church’s accompaniment” at all the stages of their often perilous voyage,” he added.